Telehealth is a megatrend that can no longer be ignored. MDLIVE helps you incorporate individualized telehealth solutions into your plan design that reduce costs for employer groups and provide quick, convenient access to quality care for their members. Customize your benefit packages with quality, on-demand telehealth solutions that are designed to work hand-in-hand with wellness incentive programs to reduce your clients’ overall healthcare costs and let their members take more control of their health. The result is healthier members who are more productive and take fewer sick days. 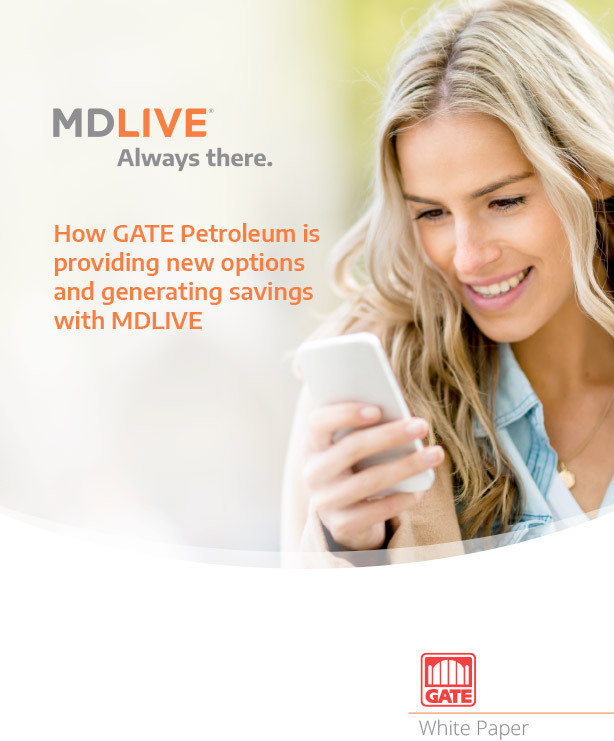 Since GATE Petroleum launched its MDLIVE telehealth benefit for its 3,000+ employees, more than 19 percent have used the service, yielding the company a 56 percent ROI.